If I could have luncheon with anyone at Downton Abbey (it’s always luncheon, never lunch), it would be the Dowager Countess. When I grow up, I want to be the Dowager Countess. The woman is wealthy, witty, and very, very wise. Everything that comes out of her mouth is brilliant — especially so when she gives her boy, Robert the Insufferable, a good verbal whacking. And let’s not forget the hats — no one wears a hat like the Dowager Countess wears a hat! And, just like every American fan of Downton Abbey, I’ve been wearing Internet blinders for months, anxiously awaiting the premiere in America. My girlfriend and I knew (for various and sundry reasons) we wouldn’t be able to sit down and watch Downton without interruption last night, so we decided to record the premiere and watch it today over luncheon . . . and wine! 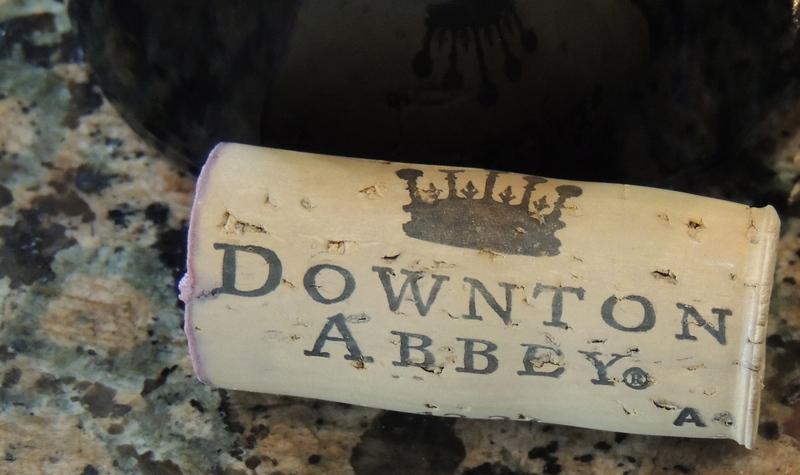 I bought the Downton Abbey wines for us several weeks ago (and good thing I did, since wine.com is now sold out) . 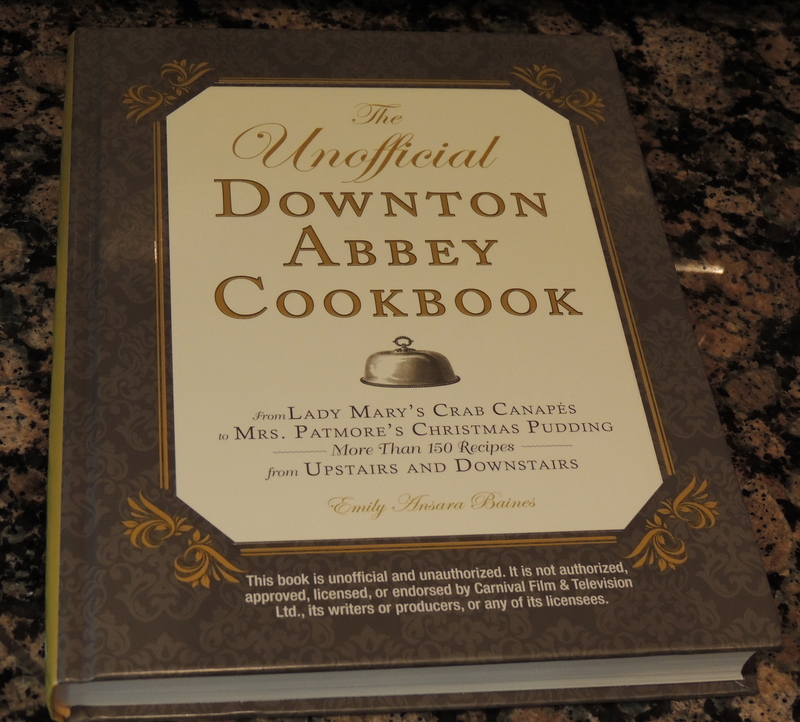 . . and my girlfriend did all of the cooking from The Unofficial Downton Abbey Cookbook. Made in France, this is a blend of 70% Muscadelle and 30% Semillon Blanc. A very Sauvignon Blanc like nose — grapefruit and flint with an herbal edge. Very lightweight with flavors of lemongrass and green apple. Easy-drinking and uncomplicated. And I love the Mrs. Patmore quote on the back of the bottle: “You know the trouble with you lot? You are in love with the wrong people!” 12% ABV. $17. A blend of 70% Merlot, 25% Cabernet Sauvignon, and 5% Malbec. A beautiful ruby color in the glass. A faint nose . . . maybe plum, and a hint of banana. Flavors are more toward currant and lingonberry. Can’t find much else in there. Weak across the palate with almost no finish. Ordinary. And now that I think about it . . . really more of a downstairs wine. 13% ABV. $17. 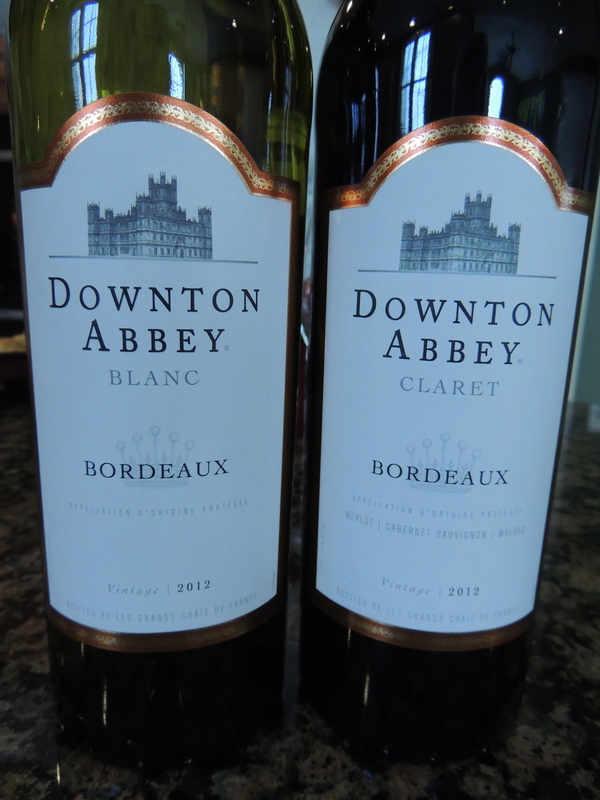 Bottom-line: I wanted to love these wines because they’re Downton Abbey wines. But they’re meh wines. 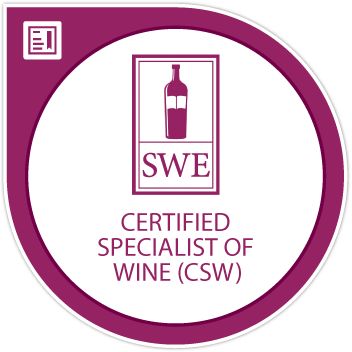 They aren’t bad wines — they’re completely drinkable, but . . . meh. My girlfriend and I both agreed — the better of the two wines is the Bordeaux Blanc. A word about our menu . . . my girlfriend outdid herself. And I’m not just saying that because my luncheon usually consists of a handful of M&Ms and a piece of stick cheese. I do 99% of the cooking at my house — I love to cook. But it’s a real treat when someone else makes me such a terrific meal. You think they drink regular water at Downton? I think not. Everything was delicious . . . I was surprised by how much I enjoyed the roasted parsnips. Parsnips don’t get enough love in the veggie world. For sure, they will be making an encore appearance on my dinner plate throughout the winter. I was glad to see Mary wearing purple by the end of the episode, but I still haven’t forgiven Matthew for abandoning Downton in my time of need. Stupid Matthew. Oh I loved the premier episode last night and I adore your luncheon and the Downton wine! The menu is perfect! I agree about Matthew, and about the dowager countess, she’s my idol! Oh yes, I would love that!! Must work on the design. Beautiful food! I would have liked to have been at YOUR luncheon…. Thanks so much . . . you’ll enjoy the premiere . . . it’s 2 episodes of fun!! Salud! What a fabulous luncheon! You’ve given me new inspirations! Kind of that tea-meets-wine atmosphere. Love it! Thanks, Connie . . . it was soooo much fun! Couldn’t eat like that for luncheon all the time, but it’s sure a nice splurge once in a while! Salud!! Thanks, Francesca! You’d love the cookbook . . . filled with so many great recipes and little historical tidbits. I hope this is the season Edith finally breaks out of her cocoon . . . Salud!! Love me some Downton Abbey! I do wish the wines were less meh; but what a fun way to watch the season opener!!! It was GREAT fun . . . would LOVE to do a DA dinner sometime. Although, something tells me that would be a multi-hours long affair. I don’t know how they ate and drank like that ALL the time in that era! Salud!! 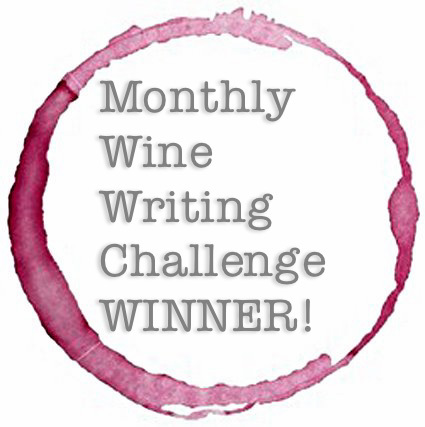 Sounds delicious – didn’t know about the cookbook or the wine! The cookbook is so much fun, Joy! If you’re a fan of the show (and you like to cook), you will LOVE it! The wines are decent, but not great. Thanks for stopping by!! Salud! Aaaaah what a great post, a feast for the eyes indeed, 🙂 I thoroughly enjoyed reading it, from the beginning ot the end. Do you know what? I didn’t know Downton Abbey, hadn’t seen any episodes, of course I had heard and read a lot about it. This Christmas I treated ourselves to all the epsiodes on a complete DVD set, what a fantastic present! I have never seen anything so infectious and the great Dame Maggie Smith is my favourite too, wow! Luck you to get hold of the wine, I’m utterly impressed. Hi Dina . . . so glad you got into Downton! It’s the BEST show. Even the opening credits are good!! Dame Maggie is BRILLIANT!! Cheers!